Welcome to a charming little town called Huntington! Your dream is to open your own shop here, but you can't decide what kind of business it is going to be. Have a look around and work in the town's stores. Find the requested items for your customers and save enough money to finally make your dream come true. Hundreds of unique items are waiting to be discovered in this challenging Hidden Object game. Can you find them all? 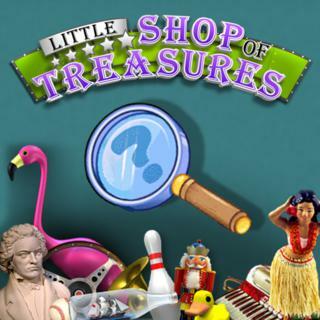 Little Shop Of Treasures - Find Little Shop Of Treasures in our vast HTML5 games catalogue. Only the best and newest HTML5 games for all audiences. Guaranteed success with Famobi.